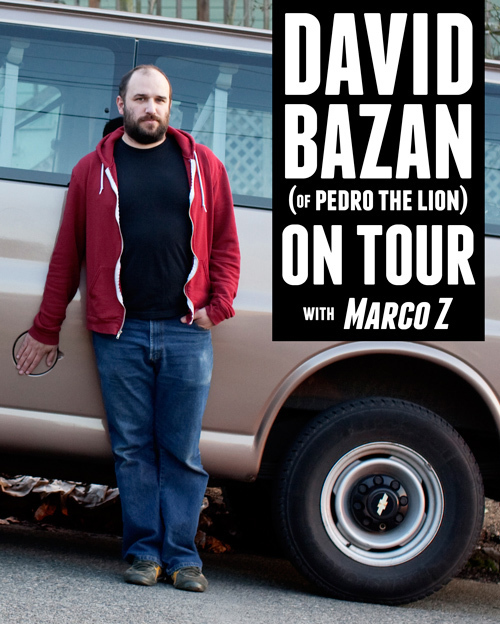 David will be touring in Europe in January & February for the first time in a few years and will be digging deep into his catalog to play Pedro The Lion songs along with Headphones and Bazan solo songs. Marco Z will be supporting all of these shows. Previous: Tim Kinsella / Joan of Arc! Next: Joan of Arc (Solo) Tour Dates!